So which starter pack do you want? Our premium letterpress ink starter pack contains every one of the 14 Pantone Basic Colors, all you’ll need to mix the 1600+ inks in the Pantone Formula Guides. 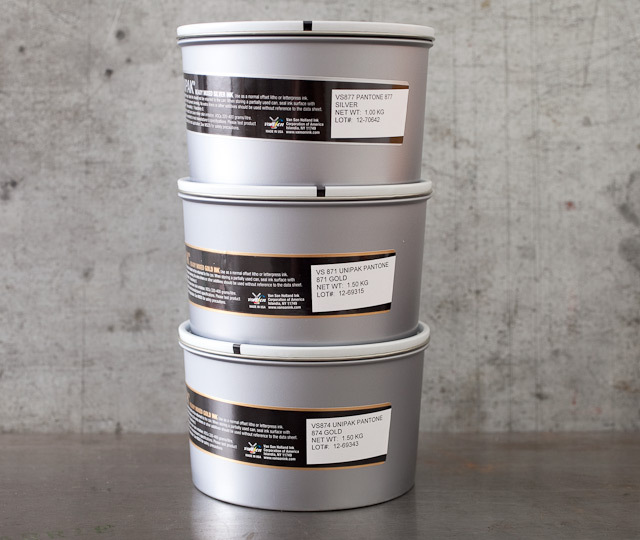 You’ll also get opaque white and printing black in this pack, two other essential inks. 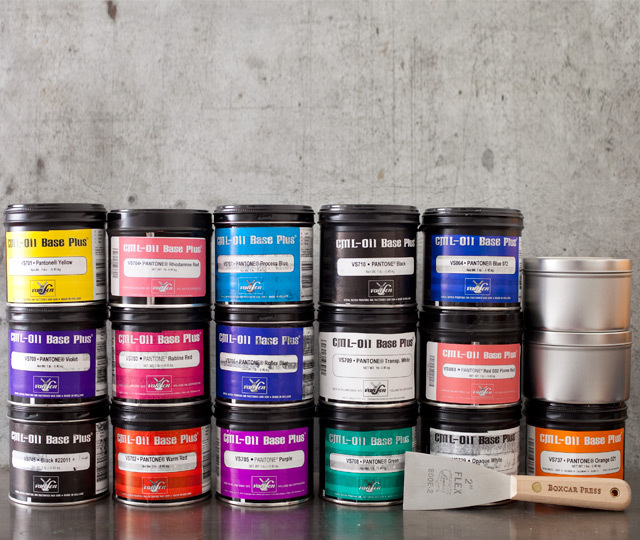 We suggest the basic letterpress ink starter pack if you just want to just dip your toe in the wonderful world of ink mixing. The basic pack includes 5 Pantone Basic Colors plus printing black, which allows you to mix 100 colors a few hundred colors from the Pantone Formula Guide . 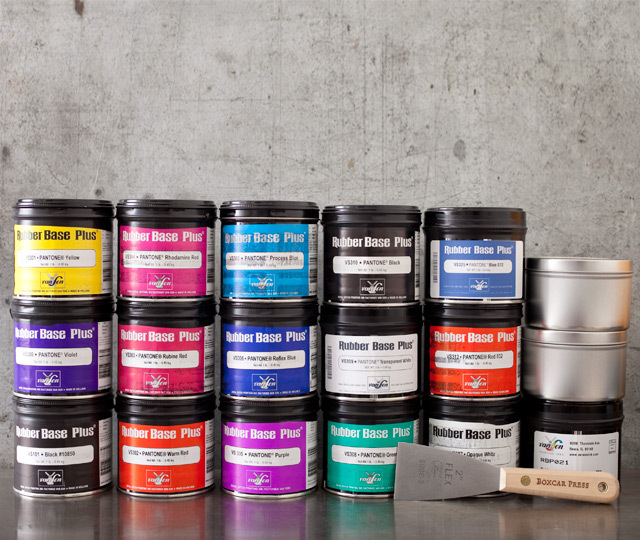 Try our metallic letterpress ink starter pack if you want to experiment with metallic inks, either printing them on their own or mixing them with other oil-based inks for some interesting effects. 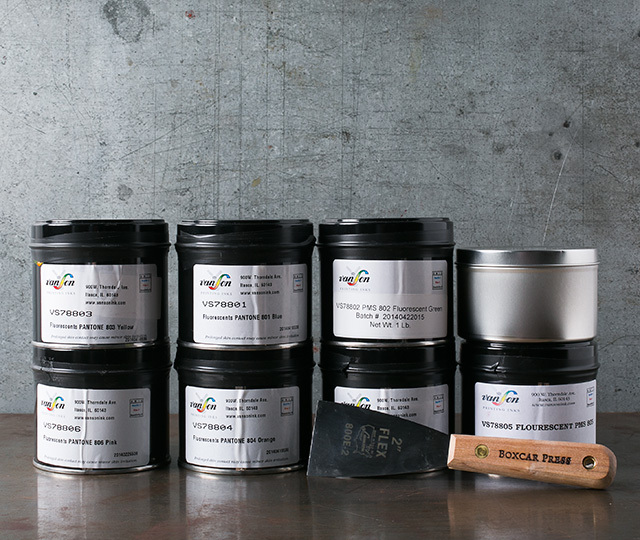 For our premium and basic ink starter packs, you can choose rubber-based or oil-based ink, both well suited for letterpress. 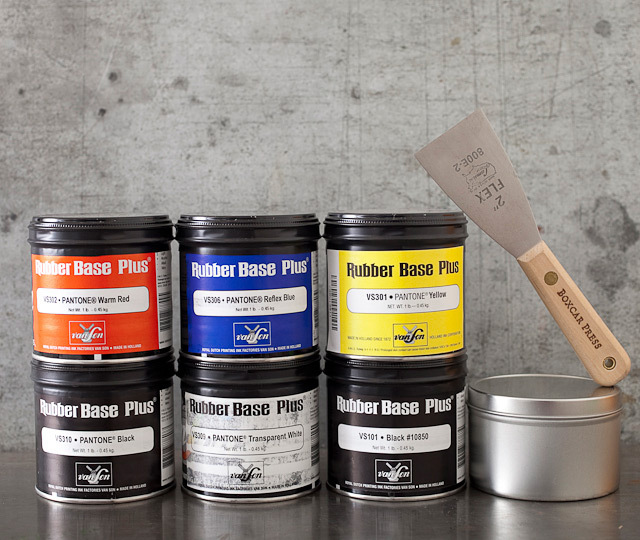 Use rubber-based inks for general letterpress printing—it’s the type of ink we use every day in our shop (though you can’t mix metallics into rubber-based ink). Use the oil-based inks if you’d like a glossier ink that works well with coated papers (though you won’t be able to leave the ink on press overnight). 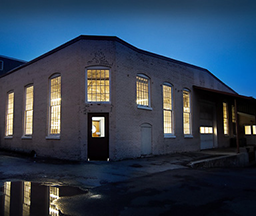 Metallic inks only come as oil-based. 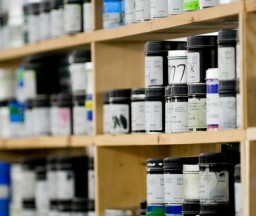 read more about how to choose the right letterpress ink. Don’t forget to pick up a Pantone Formula Guide. 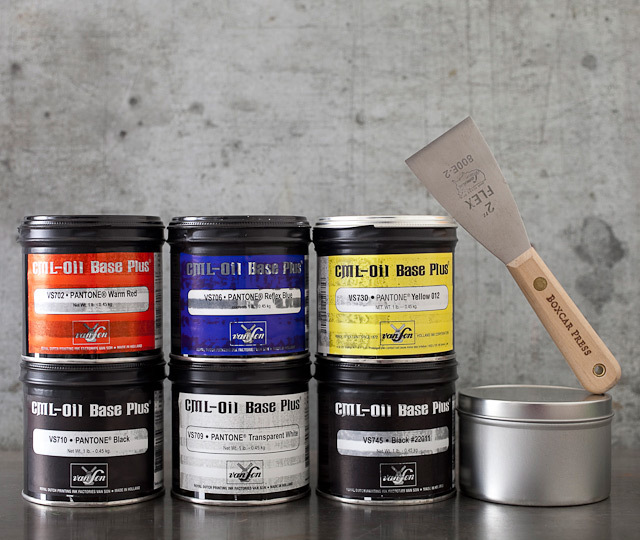 How to mix and store letterpress ink? What ink should you use?